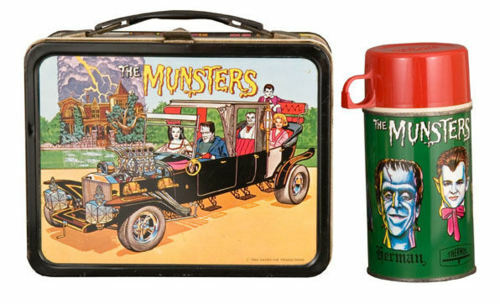 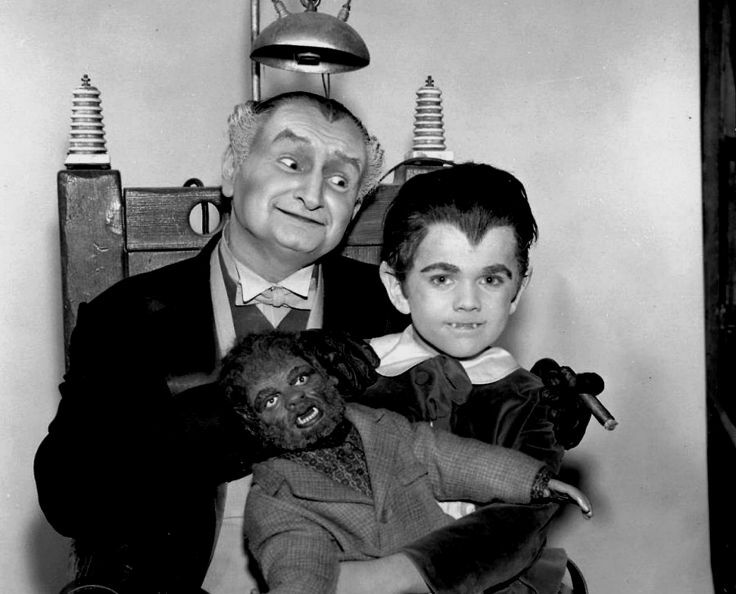 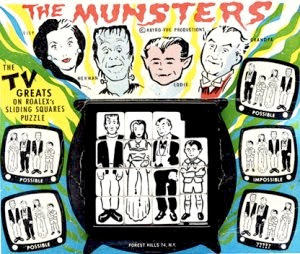 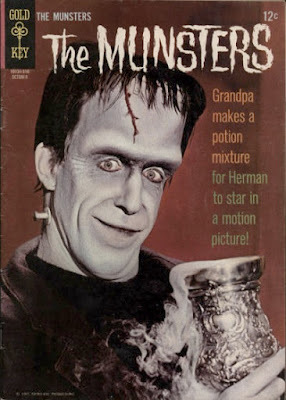 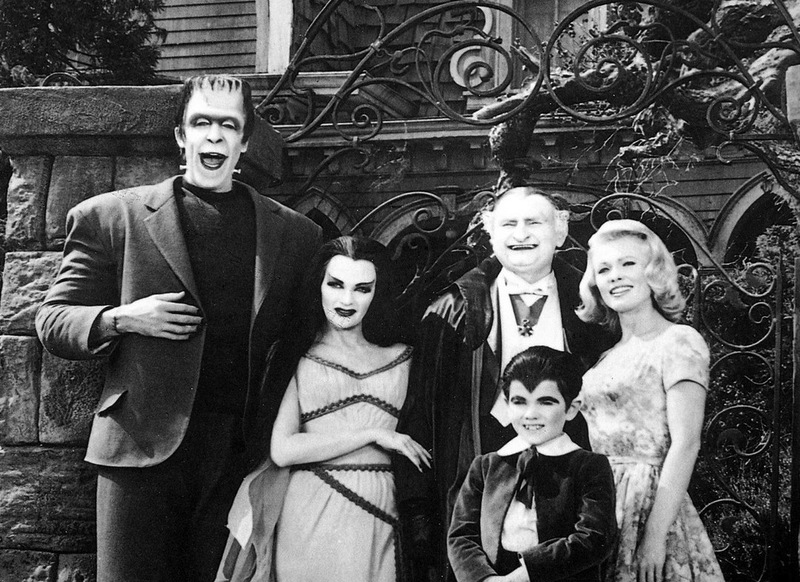 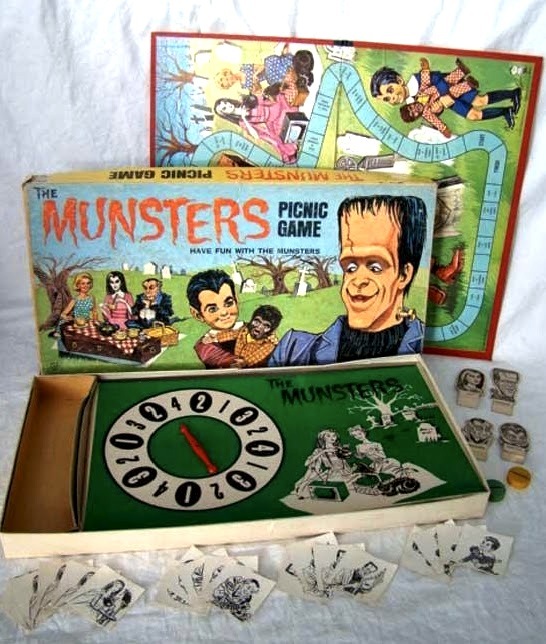 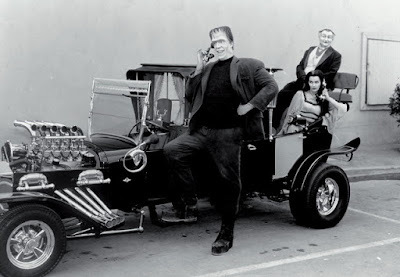 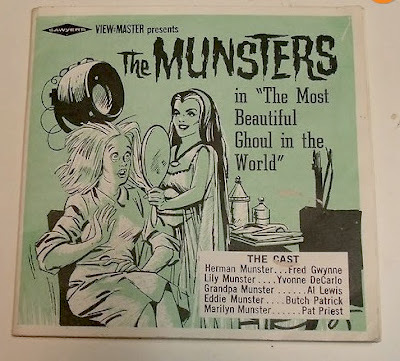 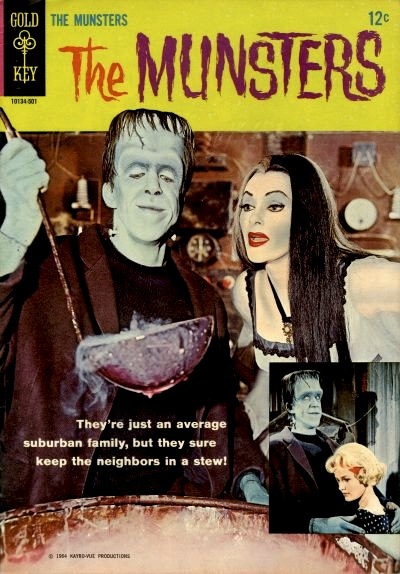 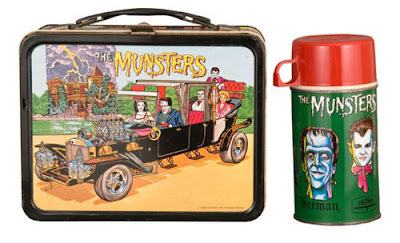 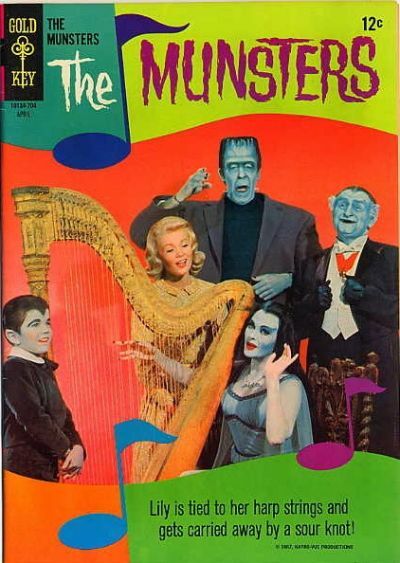 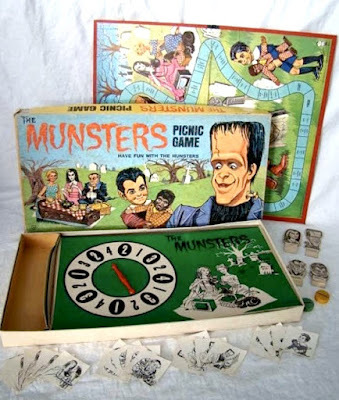 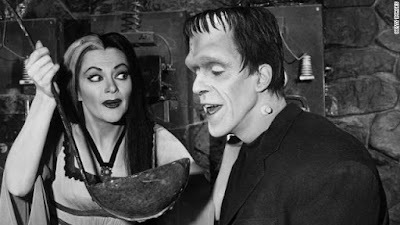 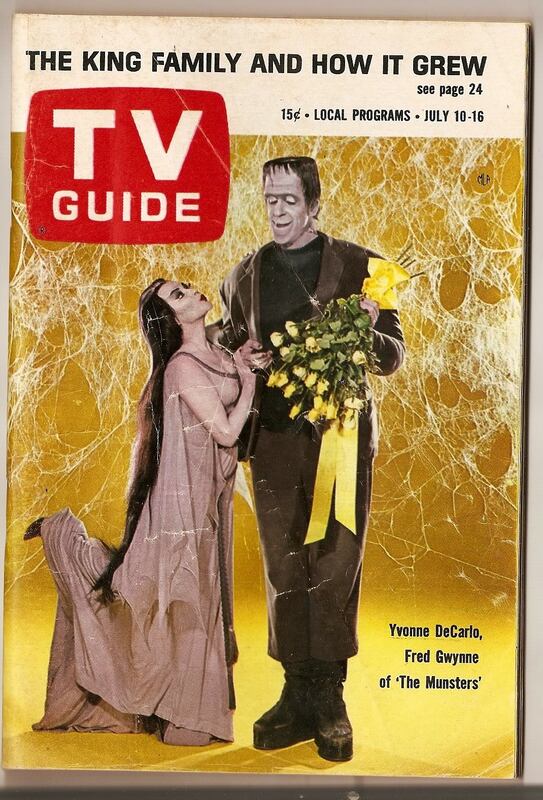 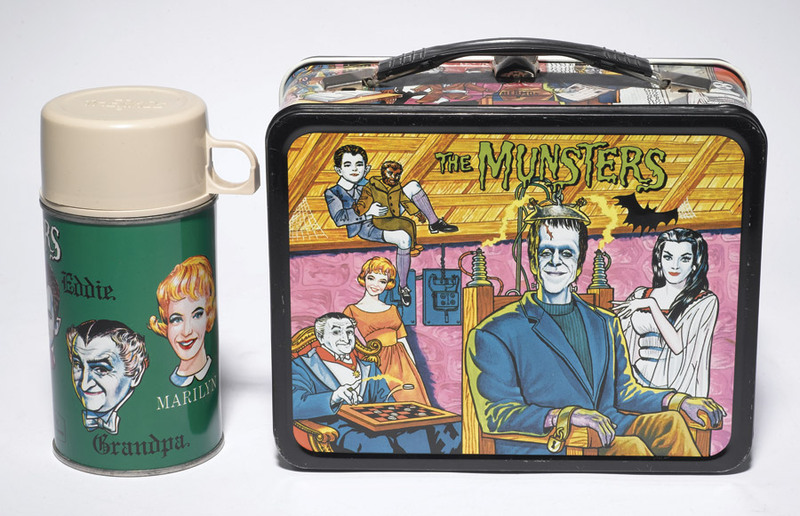 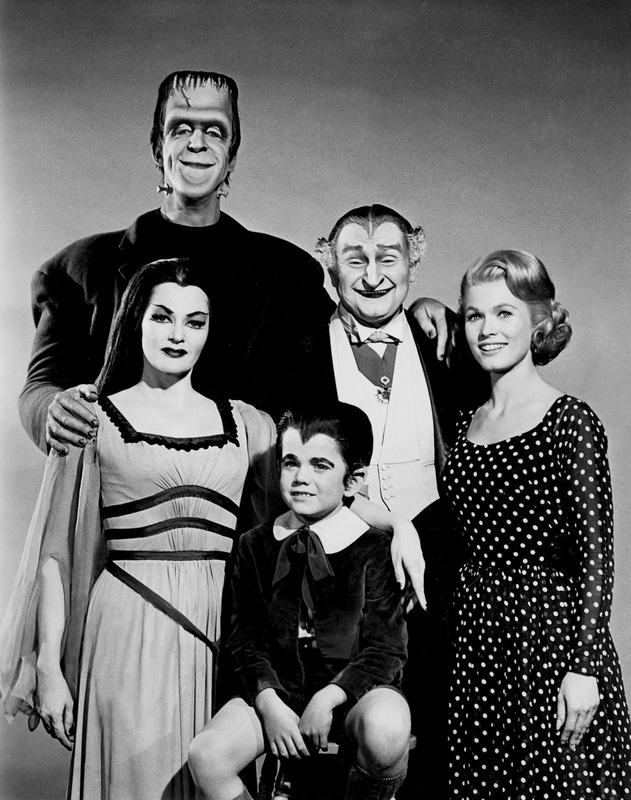 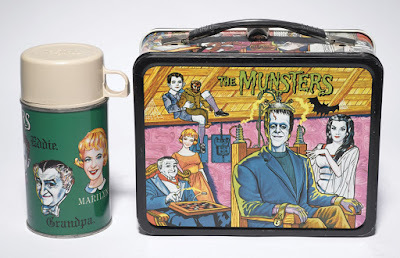 Following up on last week's Addams Family post, here's a tribute to TV's second family of comic-horror, "The Munsters." 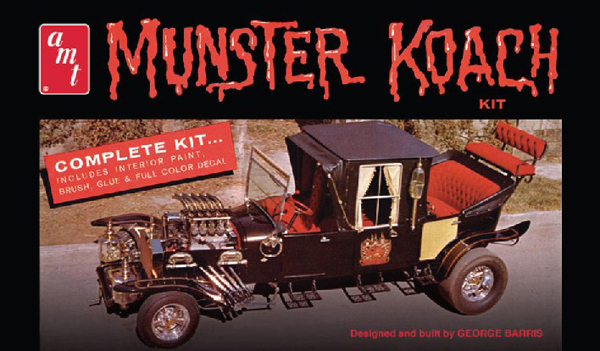 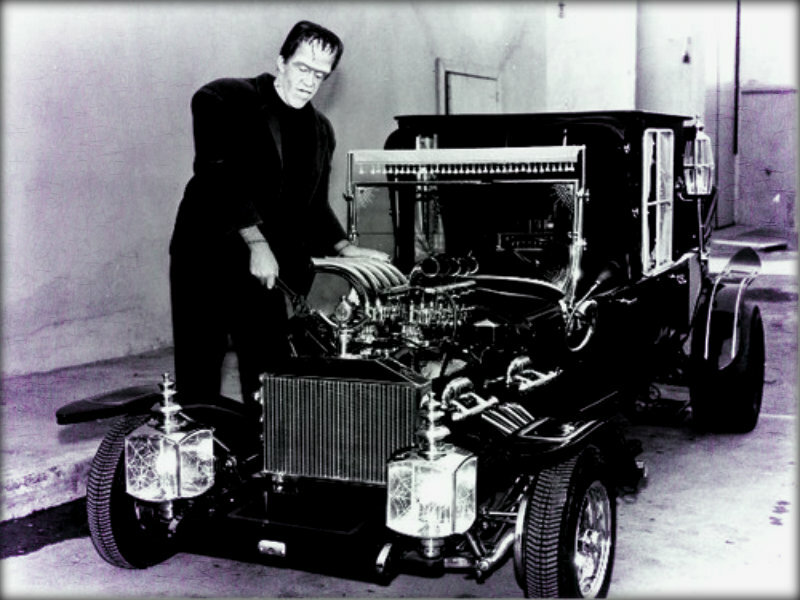 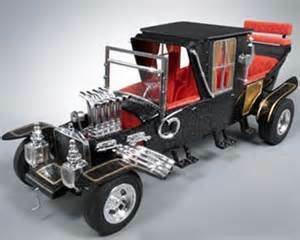 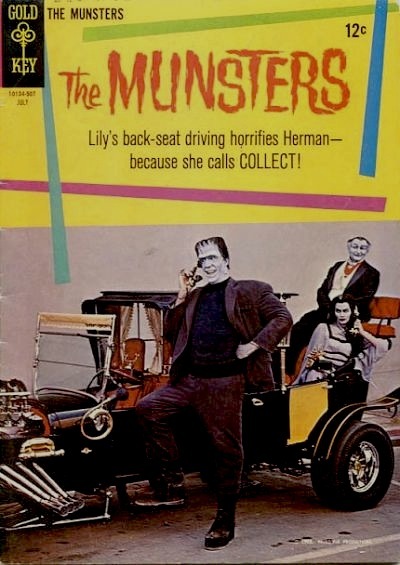 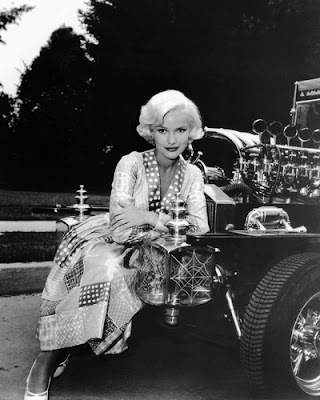 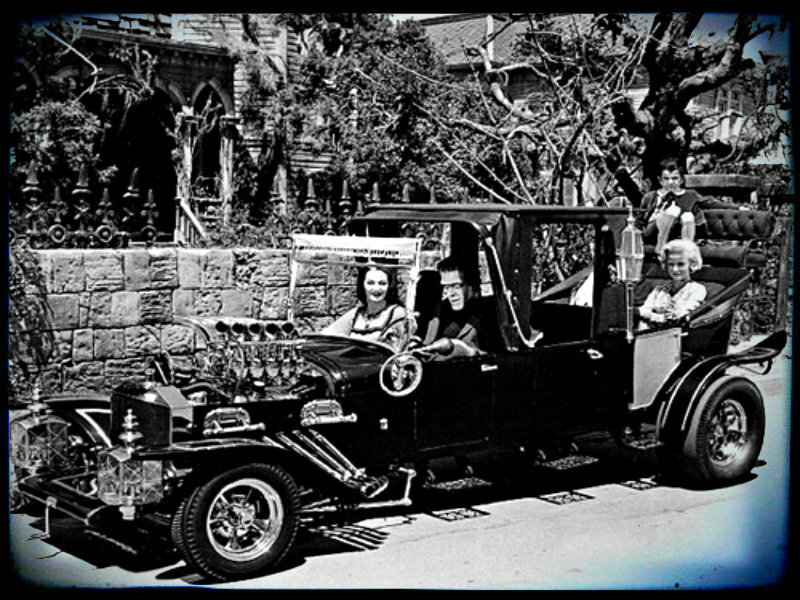 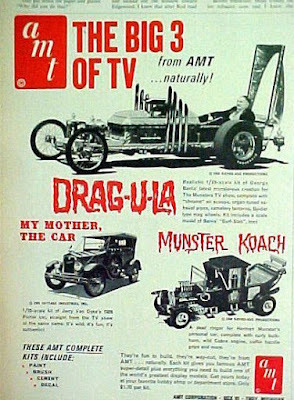 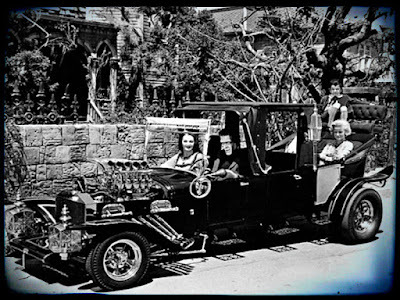 A shameless knock-off of the Addams' show, this one did feature a great theme tune and a way cool car, designed by genius customizer George Barris, the man behind the Batmobile. 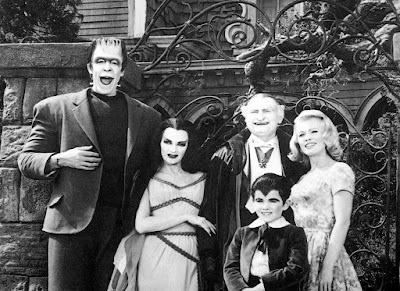 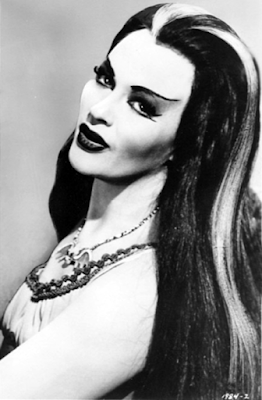 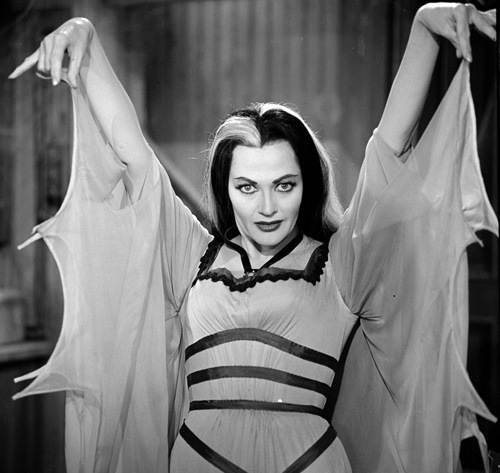 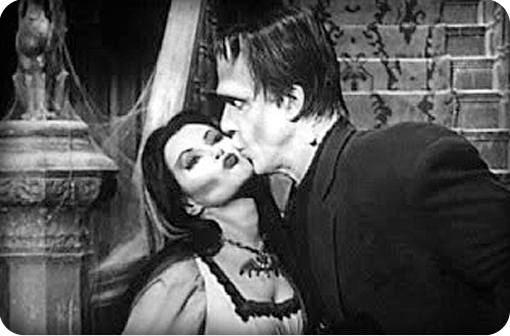 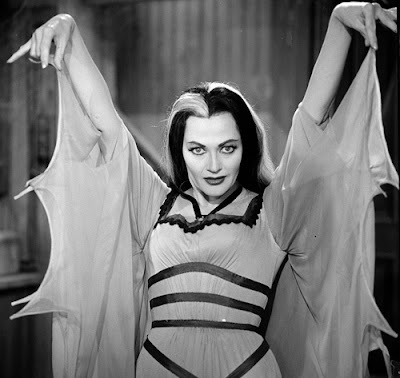 When I was a boy, I loved The Munsters and didn't "get" The Addams Family.... Now, as an adult, I find The Munsters impossible to look at, and The Addams Family as something close to brilliant. 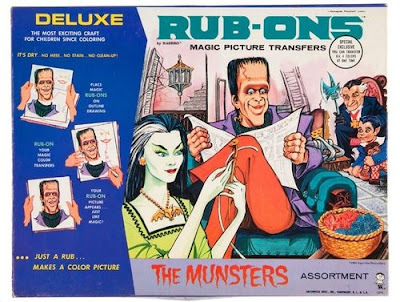 Curious how that works.